Swallowdale in Brundall is a Norfolk Broads self catering holiday cottage decorated and furnished to a very high standard and equipped with everything you will need and more for the perfect holiday. Ideal for families and couples alike. Swallowdale is a ground floor property which sleeps 4, it has 2 bedrooms, 1 double and 1 twin. In addition on request at no extra cost, a cot and high chair can be provided. Swallowdale has free unlimited WiFi, 2 televisions both with Freeview and 2 DVD players with a selection of DVD’s. Swallowdale is also pet friendly, well behaved pets are welcome (small charge), water bowl and food bowls are provided. There is patio furniture and a BBQ for those long warm summer evenings relaxing with a glass of wine by the river. Swallowdale is easily accessed by car or train and also has parking for 2 cars. Brundall railway station is only a 10 minute walk away and trains are very frequent going to Norwich, Great Yarmouth and Lowestoft. 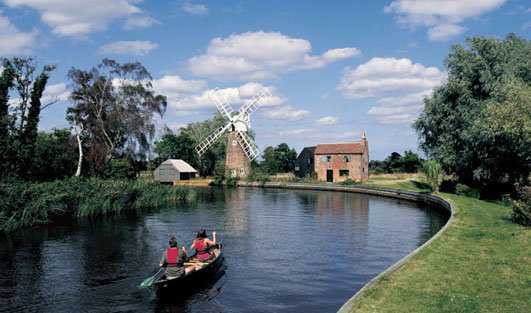 Swallowdale Norfolk Broads self catering holiday home is available all year round. The price includes all heating, hot water, towels as well as bed linen. Welcome to Swallowdale, a Norfolk Broads holiday cottage in Brundall set right on the River Yare, ideal for bird watching, boating, , sightseeing or perfect for a quiet break getting away from it all. Swallowdale riverside holiday home has its own 33ft private mooring for mooring your own, or a hire boat, or fishing straight off the decking in season. 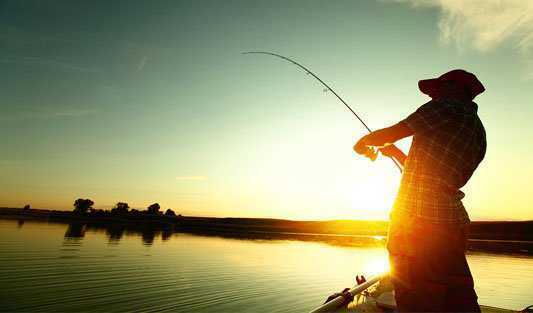 Swallowdale riverside holiday home makes an ideal fishing holiday in Norfolk. Located on the River Yare opposite the entrance to Surlingham Broad, where there is some great fishing for bream, eels, rudd, perch, roach, tench and pike. There is a storage shed for all your fishing equipment and even a bait fridge. Most enjoyable week. Chalet spot on, everything you need. Home from home. Would like to come back. 5 star. Yet another lovely stay. Weather was good to us, no rain. Fishing was excellent lots of large bream. Lovely basket of goodies on arrival is a fabulous touch. We will be back. Thank you. What a lovely cottage in a stunning location. Very relaxing and comfortable week. Fishing was sparse thanks to snow and cold. Very few fish taking the bait. However we had a great week. Ian and Jo have thought of everything. Look forward to returning in the future. Amazing and wonderful break as always, even in winter the views are stunning. Always something new too, little improvements to the place and the thoughtful touches. Thank you. We had a really lovely time in your beautiful chalet. We will be back. Ian. Just brilliant. I will be back. Amazing place. Relaxing, calm, quiet. Everything we need was here. Welcome pack was a lovely thought. Fished and watched wildlife and boats go by. Second time we have been to Brundall. Will be looking to come back here again. Thank you. Superb stay as always, it’s the highlight of our holidays staying at Swallowdale. Five Stars. Another great stay. Fishing excellent, bream at night, 10-15 every night - 6 lb pike and problem, broken up 30 times in 2 weeks but did manage to keep 6 on light tackle. Swallowdale has everything you need. Will book again for next year. Too much to enter on here, except ‘HUGE THANKS’ we will enter a review on TripAdvisor once Home. Coming back next year. Once again we can thank you for the lovely cottage and it’s warmth. Last week the weather broke but we were able to relax for the days it rained. Fishing good, roach, bream and Pearch, but required a little coaching to get them to feed, Looking forward to returning next year. Thank you. The lodge and location is brilliant. Weather was kind to us, went to ferry house for first time, will go back again. Fishing best ever, 38 pike, biggest weighed 21 lbs, also caught rare tench down by the fencing, hope to come back next year. What a fab holiday home. Everything you could want and more. 5 star accommodation. We were lucky in that the weather was boiling and the night fishing was superb, as was the day. We love this place, will come back. This is the end of our third visit, had a great week fishing and sitting around, cottage as always fantastic, well equipped and clean, booked for next year again. Again a lovely holiday. Seven full days of beautiful sun to match the lovely location! Love this place, Swallowdale is the best ‘lodge’ on riverside. Thanks to Ian and Jo, see you next year. Also had a great week. Excellent accommodation. Recommend Coldham Hall (across water) for good food - but not easy to find by road as sat nav does not recognise it! Hired boat for 1 day from Buccaneer Boats nearby, great day on water and nice to use river and get others perspective. Went to Norwich. Herons nest - heard chicks calling and saw herons supply but slightly out of sight, could just see nest sticks when wind blowing. Another pub for food - Ferry Inn - Stokesby. Thank you. The accommodation and finishing touches is what all others should judge themselves against. Great holiday. It’s always a delight returning to Swallowdale. The welcome basket is always a lovely touch. This is such a wonderful place to rest and relax. If the ducks come calling then swans, geese and other wildlife aren’t far behind. Thanks for another fabulous week. Back soon. Had a lovely time, couldn’t want for more, was more equipped here than our own home. Loved it. Thank you and thank you for the parcel of food. Lovely holiday home. It is well equipped. The welcome pack was a bonus. The view is great. The first couple of days fishing were affected by the snow melt. Saw otters. Beautiful setting, very comfy holiday home, so well equipped, even sharp knives! Ian and Jo have thought of everything. First few days fishing were great, then the snow and wind set in -18 degrees, the coldest we have ever fished in and caught nothing! Fabulous chalet, a home from home. Had a lovely week in this lovely well equipped cottage. Great views, great wildlife. Kids loved the ducks, geese and swans. Property was warm, cosy and well equipped with everything thought of. Extremely clean and tidy and welcome basket was a lovely touch. We were so lucky to find this little treasure only booking a day before coming. Thank you for the use of your property, we will return again in the summer. Thank you. We had a lovely stay - chalet lovely with everything we needed - We even used the loungers on the deck for a couple of days - The welcome pack was a nice bonus. Thank you for help with the TV, we did find it hard to use but think that was down to our age. Thank you again. Our second visit to this wonderful holiday home. Had a fabulous 2 weeks (Don’t want to go home). Weather has been very good. It’s so peaceful just watching wildlife (and feeding it as well). Fishing was good, best fish a bream 2llbs. Will recommend to anyone (have done also to while we have been here to passers by). Welcome basket was a lovely surprise. I cannot praise this wonderful chalet enough, everything you need is here. We cannot thank you enough for letting us stay in your very comfortable and clean cottage. The welcome basket was a lovely surprise and much appreciated. The cottage is warm, well thought out, you just have to enjoy and relax while spending your time here. The fishing is superb, it was great to have a place to store equipment and bait (most days bream, roach, perch and 1 pike). Hope we will be able to return next year. We struck lucky finding a free week late booking, the fishing has been a treat for our son, he’s loved it. A very relaxing place and we’ve already passed the details on to others. Thanks for the lovely thoughtful welcome goodies. Our 3rd visit - another enjoyable break, the fishing was the best it’s ever been! We are back in October and booking again for next year - so we must enjoy it. Hired day boat for 5 days from Buccaneer. Thanks Ian and Jo. Wonderful week, lovely cottage, childrens first time fishing and both loved it. Very lucky with the weather, spent a lot of time at the cottage relaxing. Hope to come back next year. We all enjoyed the welcome basket. Had another great break here. Had a great time fishing. Cottage was well equipped and very clean. Booked for next year. Thank you for the welcome basket. We also tried the new Indian Restaurant and was very good. Had a great time again and booked already for next year! Can not fault anything here, clean, tidy and very well equipped. Lovely clean property with everything required to make an enjoyable and comfortable stay. We have holidayed in Norfolk many times and this is by far the best property we have stayed in. Welcome basket much appreciated. How lucky to stay in a lovely clean bungalow with superb weather. Thank You. Amazing lodge in a beautiful location with everything catered for. Wildlife is superb and with great weather we spent many afternoons relaxing on the deck and just enjoying the scenery. Thanks for welcome pack. Well done! you keep a beautiful chalet. Everything you need, Spotless. Fantastic place to stay, Credit due to you. Have enjoyed so much. Fantastic week, can’t remember having had self-catering accommodation so well provided before. Everything you need and more. Thanks for welcome pack, nice touch, Weather good apart from ‘Doris’, fishing good, can’t wait to come back. Second visit to Swallowdale, even better than last visit with all the added extras. Welcome hamper really good, Thank you Ian and Jo. 5 Star accommodation, very clean, lovely weather and good fishing, we will return next year. Lodge the best we have stayed in, it will be difficult to get better, fantastic two weeks, great fishing. Would love to come back however already taken next year! If you want to try something a little different! Horners (Acle) Auction every Thursday, great fun, don’t have to buy anything. We have had a great two weeks here. Weather fantastic, welcome pack was great. Lodge facilities great and very comfortable, couldn’t ask for more. Hope to be back same time next year. Another fantastic stay. It’s brilliant that the new owners have kept up the standards of the property, if not exceeded! Thank you so much for the welcome pack - very welcome indeed. Hired boat from Buccaneer again - lovely to be alone with nature! Thanks Ian and Jo - hopefully we will return again next year. A blissful week away from work although the WiFi meant I was never that far away! But the welcome pack! It was very welcome!! And so generous. And the accommodation so well equipped too. Mixed weather - not into fishing so visiting local towns and villages. If you are into Cash in the Attic go to Acle on Thursday mornings and Horners Auction behind the big Budgens - fascinating. Today (Friday) an absolute scorcher and have turned bright red just from an afternoon outside! Great holiday had 2 birthday parties for the kids 4 and 6, kids loved Swallowdale. Been coming a couple of years now, well presented and great welcome pack 5* Nice to see gate on decking. We love coming to Swallowdale, we have been coming here for years and Swallowdale is the best cottage we’ve stayed in. See you in 2017. Welcome pack came in really handy - Thx! Had a great time, loved the cottage, well equipped, very relaxing. Welcome pack was very nice surprise. We will be looking to come back in Feb 17. Once again we have enjoyed our holiday with really good weather. And we hope to return next year. Thank you for our welcome pack. Lovely Cottage, spotless, thank you for the welcome pack, weather disappointing. Would love to come back. We’ve had a wonderfully relaxing week, watching the herons, ducks, swans, geese, boats…. Cottage has everything you need and thanks for the welcome pack! Hope to visit again, so much to see! Back for our 4 th visit - didn’t think it could get better but it has! Lovely welcome pack. Great cabin, good location, everything is spot on, will come back again. Great Stay, very cold to start with but got better. Fishing good at the end of the week. Lovely place home from home, will be fully booked the more people hear of it. Perfect in every way, superb décor throughout. To arrive to fire on and welcome pack, service and personal touches way beyond expectation. Perfect location, quiet, so handy for all facilities, especially train access. Will definitely recommend to family and friends. Thank you. Fantastic holiday very relaxing, very quiet not too bad fishing. Swallowdale is 5 star accommodation, very comfortable very clean and very spacious. So cosy in the evenings, everything anyone could want was here, very well equipped and what a special touch the welcome pack. Thank you so much hoping to return next year. Lovely week, perfect lodge, perfect view every morning. Fishing good (but only after dark) Had a fab day to Norwich with Buccaneer Boats. We certainly will be back this year. Lovely chilled out relaxing week, fish caught most days. Very clean comfortable cottage. Welcome pack even had dog chews for our little Oscar. Hope to return again in near future. Another great week at Swallowdale. Superb place to stay. Fishing not very good this week but still had a very good week. Hope we are able to come back soon. Lovely cottage, everything you need. Good fishing Pike on lures between tea - dusk. Home from home, thank you for the welcome pack. 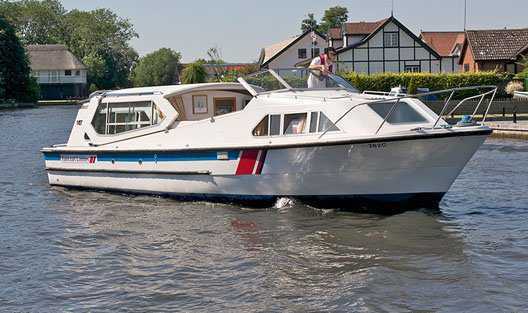 Accommodation excellent, well equipped kitchen, great out look, fishing OK, deck area and seating arrangement very nice. Bait fridge a bonus. We had the best weather. Hopefully we will be able to return next year. Excellent in all respects. Equipment in particular is good quality, the TV in particular is a good quality Panasonic which is unusual in a rental cottage and much appreciated. Thank you, good value. Lovely stay and thank you. Thank you for the welcome pack - very thoughtful, would like to return. Many thanks once again. We have rented a few places before but never have they been so well equipped and comfortable. Thank you for the welcome pack, very welcome surprise. The stay has been lovely, the dogs have even enjoyed the stay, first time away for them. I don’t think you could have thought of anything more to make the perfect stay. A great big thank you, would definitely stay at Swallowdale again.